For most essential oils, customizing a high-quality small round cardboard boxes is very important for the sales. As a professional manufacturer of tube boxes, we serve the needs of more than 1000 companies and brands and produce tube packaging boxes of the highest quality, including small oil packaging, large tube packaging and skin care product packaging. Among the many styles, what we produce the most are the Pure plant essential oil packaging boxes, with control of every detail in place, guaranteeing that every cylinder is of high quality. Among the many plant essential oil cartridge packages, I was taken aback by the small cardboard round boxes that I’ve ever seen, the most beautiful custom package I’ve ever seen. The overall a pale yellow background, but the yellow plant flower has been carefully designed to tile the entire package, elegant and fresh. To make the lid look like a tube box, connect a flower to the two parts of the lid and the main part of the cylinder, using a transparent sticker that secures the cylinder lid. Creative tube packaging design can maximize the publicity effect, and this effect is continuous, easy to make people spontaneously tell each other, making more potential customers into real customers. 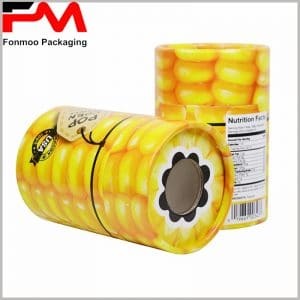 Although this is a 20 ml small round cardboard box package, since most of the time we offer custom tube boxes, whether it is of kraft paper, corrugated cardboard, cardboard or other packaging materials, you are free to choose; and the size of the packaging is based on the actual product, to determine the size of tube packaging, to provide you with the most perfect product packaging.